Introducing the ASICS Gel Upcourt Volleyball shoe made for women and men who are looking for an entry level volleyball shoe. Play with confidence and without discomfort with its Rearfoot gel technology that provides enhanced cushioning through synthetic leather and upper mesh in the full length gum rubber outsole volleyball shoe. No worries about pain or shock to your knees. Comes in Black/silver, White/raspberry/silver, Mint/white/fiery coral, and Diva Pink/Methyl blue/Lime for women, and black/silver and white/black/silver for men’s. Sizes 5 through 13 in medium width for women, and 6 through 15 for men. 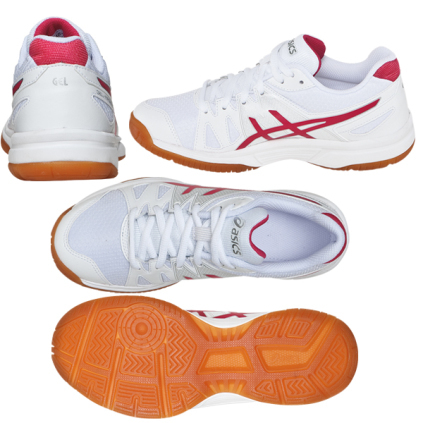 The ASICS Gel Upcourt Volleyball Shoes are comfortable. 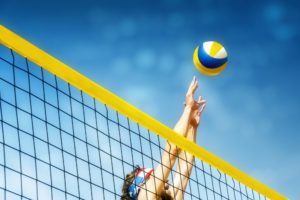 They are sturdy and firm, which is necessary if you need something to wear for sports like volleyball, basketball, and other indoor and even outdoor activities. These shoes are best suited for use in an indoor environment, but you could use them if you need to use them to run in. They are ideal for multi court use with an emphasis on the volleyball court. 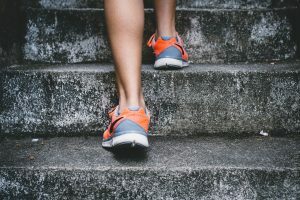 While still being comfortable, you can also expect them to not be overly heavy, because the come in at 8.6 ounces per shoe. They also provide great ankle support. These are truly a great value for the money if you are looking for a solid introductory shoe. 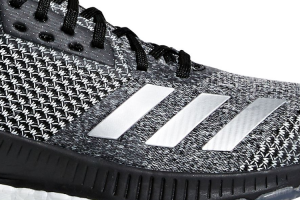 The grip is very good on these shoes with the gum rubber outsole. They are extremely lightweight, yet provide a good grip; slipping should be minimized when wearing these during your games. The four designs for women, and two for men allow you a good choice of what you want. The standard black and silver will always be a good go to for anyone, but you can liven it up with the other three possibilities listed above if you want. These can be used as volleyball shoes, tennis shoes, racquetball shoes, or any court shoes needed. Some users have complained about the shoes wearing out quickly depending on how much you play. 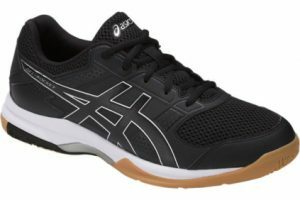 The average wear and tear will depend on how much you play, but based on reviews of the ASICS Gel Upcourt Volleyball shoe it would take a couple of pairs a year, if you are playing all year around. People with wider feet have commented the shoe works really well for them. So, if you have narrower feet you may want to us some caution when thinking about this volleyball shoe. A reviewer said that these shoes turned very dirty after just a short time of usage, and this was an indication of how they wear. 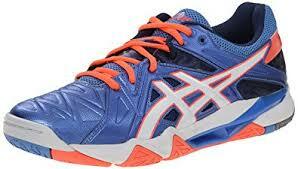 These ASICS volleyball shoes are a good, reasonably priced volleyball shoe. 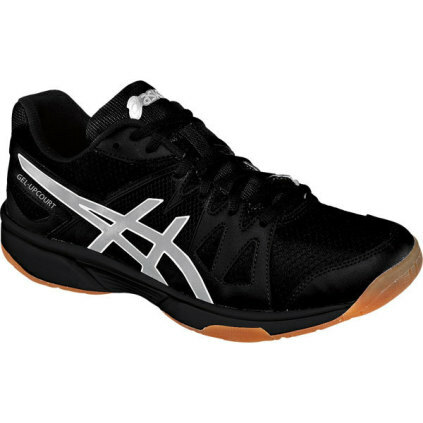 If you are a beginner looking to try out some volleyball shoes, or court type shoes these are a good choice, and as you get more experience you can venture out into some of the higher priced shoes on the site to see what different features you may prefer. We recommend this as a great introductory shoe which will meet your needs. The price ranges from $39 to around $75 depending on the style and size you want in women’s, and $42 to $55 for men’s.